Everyone thinks they are special. But we folks at Eckerton Hill Farm really think we’ve got it going on. 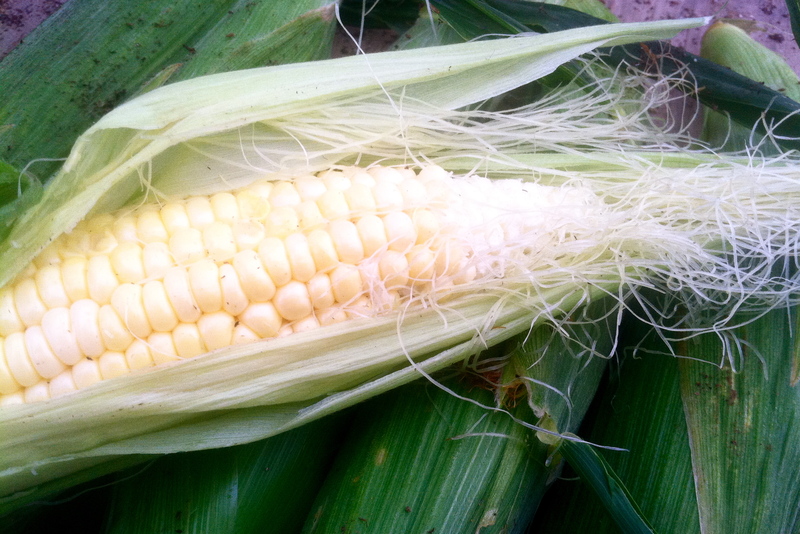 Tim’s no-spray sweet corn is a rare find in this valley, and it was all worth the grind. No pesticides or fertilizers were used in the making of this food; the sweet kernels were born from peat and reared in soil nourished with mushroom compost. Pests were kept at bay by carnivorous insects and transistor radios. And each ear was lovingly hand-picked by a human.